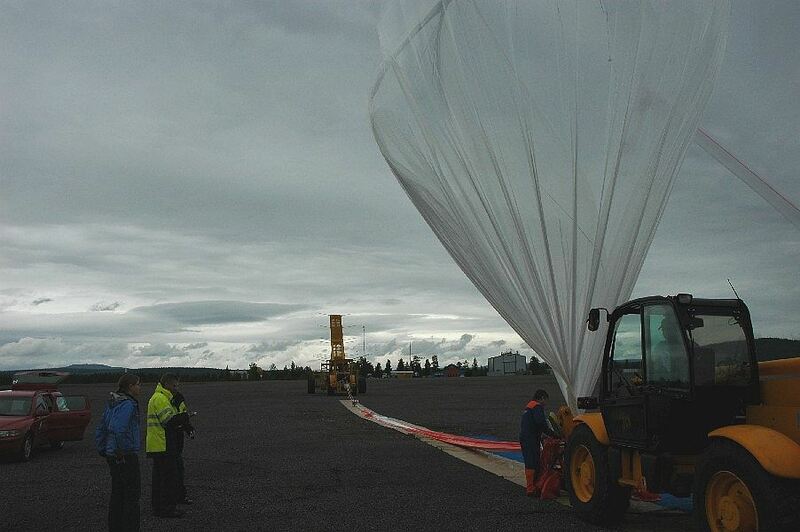 Sometime before a balloon campaign starts at Esrange every year is launched a balloon to test their technique and logistics systems. 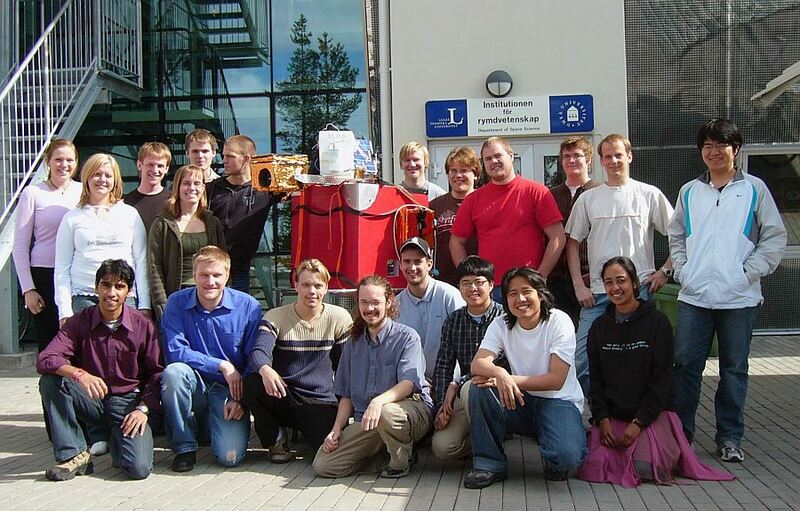 The students at Kiruna's different space related educations are offered the opportunity to send their own designed and built experiments with the balloon. The students are from the space engineering programmes at the Department of Space Science and from the technical high school programs. Students from different years and courses are involved in the project, which means that different groups of students meet and get a chance to work together on the basis of their respective areas of competence. It is the students themselves who lead, design and build the experiments and the instruments destined for the balloon launch. 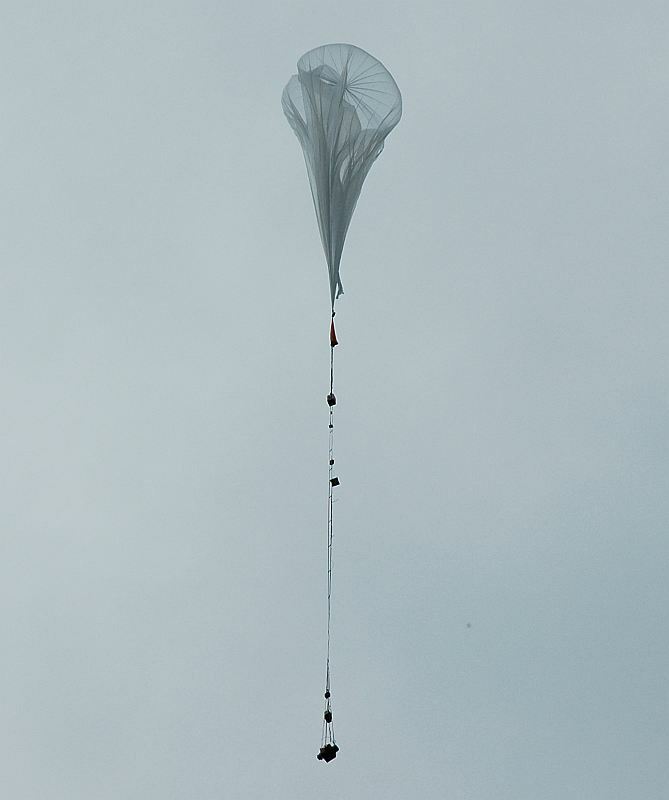 Most of the data to be collected during the balloon flight is used later in the courses. This was the fourth flight of the project and involved the participation of students at Kiruna Space and Environment Campus togheter with pupils from Hjalmar Lundboms school and the space high school, Rymdgymnasiet. At left can be seen the gondola where the experiments are stored (click to enlarge). After a initial ascent phase heading due northeast the balloon reached a float altitude of 29,9 km, starting the float course due northeast as can be seen in the map at left (click to enlarge). 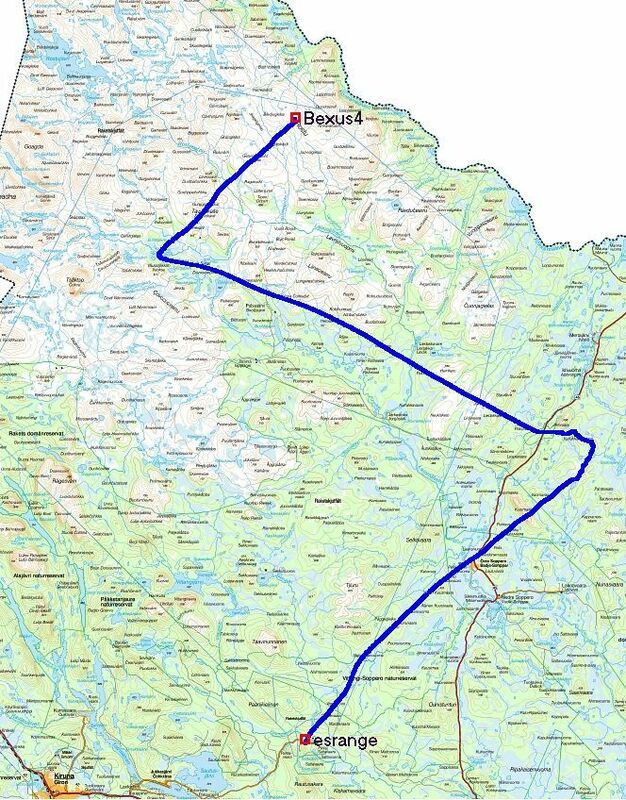 After a flight of near 4 hours, the cut down command was given at 14:23 utc, and the landing took place about 10km west of Naimakka, near the Finnish border, at coordinates 68° 40,1094'N - 21° 13,7540'E. Both gondolas were recovered the next day (20th of June) by a helicopter. MPEG (Multi Purpose Experiment Gondola) a complete platform for small stratospheric balloon payloads. MPEG monitors and controls all the experiments that are connected. The data sent from the experiments are handled and transmitted to ground where personnel can see on data screens what occurs onboard. By data commands sent from ground each experiment can be controlled individually during flight. All the connected experiments are supplied by MPEG. This was a enhanced version of the BEXUS III�s platform. ADIA (Altitude Determination by Image Analysis) to perform altitude determination by image analysis. MULLE a small EIS (Embedded Internet Systems) platform based on an Mitsubishi M16C microprocessor aimed at ad-hoc sensor networking and ambient intelligence systems. The platform has analog and digital interfaces, signal processing capabilities, an integrated webserver as well as integrated wireless communication using Bluetooth. MMSP (Multi Motif Stratospheric Photography) to investigate if it's possible to take photos onboard the payload during flight. 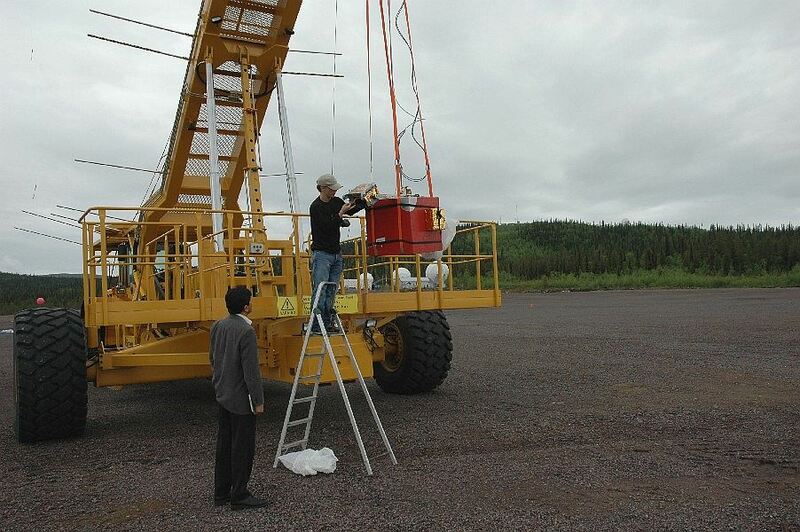 NEMO (Nordic Experiment Measuring Ozone) to receive a connection between the concentration of ozone and the position of the balloon using a ozone sensor from Vaisala. SADFACE (Sampling of Air During Float and AsCEnt) to flow sensors measuring the air flow to see how much air is collected. BTD (Balloon Tracking Device) a device which tracks the path of the balloon by receiving a signal transmitted from the balloon at 173.225 MHz. 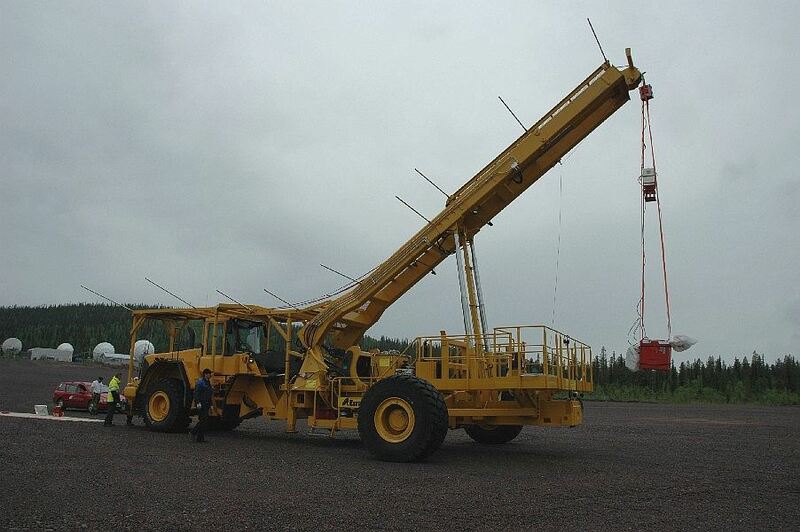 Qualification test of the second E-Link system with maximum data load versus achieved flight range. 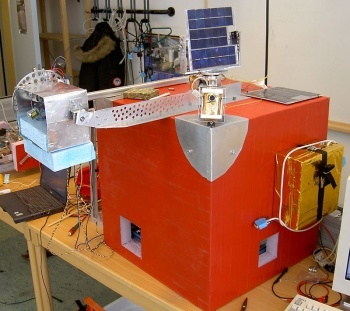 Preliminary results showed that the experiment ADIA (mounted in the top of the gondola) have suffered some damage during the landing on the webcam structure but the rest of the experiments are ok. MMSP has failed to take pictures and movies during the flight, by still unknown reasons, later invstigations will probably give an answer. The other experiments seemed to work as they have done during the test phases, however it still not clear if they worked 100% until the data has been checked. The new platform built and tested during this flight seemed to work perfectly and gives good hope for the forthcoming BEXUS flights.